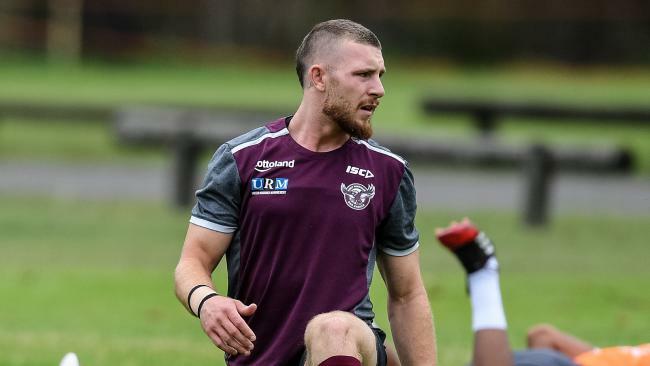 TENSIONS boiled over at the Sea Eagles' Narrabeen headquarters when players were asked about their banished teammate Jackson Hastings and his demotion to the Blacktown Workers NSW Cup side. That led to a heated confrontation between The Australian's head rugby league writer, Brent Read, and Sea Eagles football manager Gareth Holmes. When prop Addin Fonua-Blake was asked during an interview if Hastings was "misunderstood" as a bloke, Holmes intervened and said: "Baz (coach Trent Barrett) answered a lot of those questions yesterday, boys, about that stuff so he (Fonua-Blake) is here to talk about the game." Read said he had to ask the question and that it had been answered by the coach and not the players. "They are entitled to defend themselves, the story is around the players don't want him in the team," Read said. Hastings will be restricted to NSW Cup duty for the rest of the season. Holmes then replied: "The players don't pick the team", to which Read shot back: "What has that go to with it?" After patiently listening to the dramatic exchange it was Fonua-Blake who restored calm when he said: "I will tell you. To me he is a good bloke - I can't speak on behalf of anyone else. "I found him really good and it is very unfortunate what happened to him." Manly players were understandably reticent to discuss Hastings. "I don't really want to talk about him," winger Brad Parker said. "I like Jackson, everyone likes Jackson, he's a good kid." 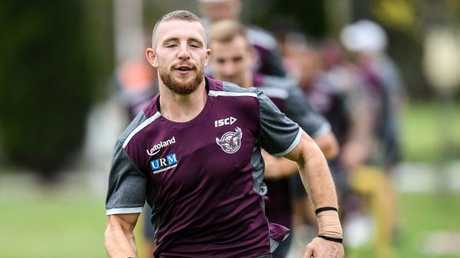 Asked if thought Hastings could make a return to the NRL squad this year, Parker said: "Baz has talked to us, it's not up to the playing staff whatsoever. "It's all up to Baz …. it's his decision, all we can do is play our best footy individually and a team." But Parker did say the environment at training over the past few days had been good. "Look, it's a long season, it is 26 rounds a year," he said. "On the Monday we came in, we assessed what the issue is and what's been going on. "This week l feel like we've had a real positive impact - the boys are up and chirping and staying together, we are going to have dinner tonight." When asked if he had a problem with his banished teammate, centre Brian Kelly replied: "No, I'm just all good, mate."